Contributor: written by The Camp Recovery Center clinical content team member Hugh C. McBride. Xanax, the trade name under which the generic drug, alprazolam, is marketed, is a benzodiazepine that is commonly prescribed to individuals who have panic disorder. 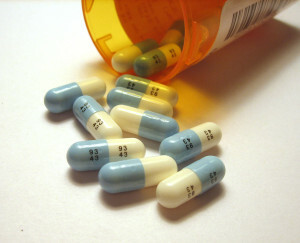 Benzodiazepines, or benzos, act as central nervous system depressants, quickly causing a state of mild to extreme sedation that can last from six to 24 hours. In addition to treating symptoms of panic disorder, Xanax is also prescribed to people who have been experiencing various forms of anxiety disorders, including generalized anxiety disorder and social anxiety disorder. Also commonly referred to as social phobia, social anxiety disorder is characterized by feelings of fear or anxiety regarding social situations in which one might be scrutinized or judged by others. These feelings may manifest in situations involving social interactions, such as meeting unfamiliar people, or when being observed by others, such as dining in a restaurant or giving a speech. Treatment for social anxiety disorder often includes both psychotherapy and medications, with selective serotonin reuptake inhibitors (SSRIs), such as Paxil or Zoloft, being the most commonly prescribed medications for people who are dealing with this disorder. In addition to SSRIs, other medications that are commonly used in the treatment of social anxiety disorder include monoamine oxidase inhibitors (MAOIs) and beta blockers. While physicians do legally prescribe Xanax for patients who have social anxiety disorder, the medication’s use is usually limited to short-term suppression of symptoms. Short-term, double-blind studies have documented Xanax’s ability to provide relief from anxiety-related symptoms for up to four weeks, with Xanax also proving to be effective in treating co-occurring depression. But concerns about dependence have prevented Xanax from being widely prescribed for long-term use by people who have social anxiety disorder. 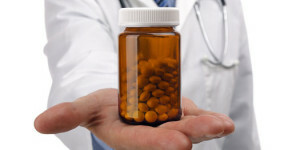 Of course, since Xanax is one of the most commonly prescribed medications in the United States, it is not difficult for individuals to acquire the drug for purposes of self-medication. Unfortunately, using this drug to treat social anxiety disorder or any other mental health problem without the direction and supervision of a qualified healthcare provider puts individuals at increased risk for becoming dependent upon the drug and suffering other negative outcomes. For example, in the five-year period from 2005 to 2010, the Substance Abuse and Mental Health Services Administration (SAMHSA) reported that annual Xanax-related visits to hospital emergency rooms more than doubled, rising from 57,419 to 124,902. Even when overdose does not occur, Xanax abuse can cause a number of problems, including short-term memory loss, blurred or double vision, swelling in hands and feet, impaired ability to concentrate, disorientation, and heart palpitations. Abusing Xanax along with alcohol or another drug, as often occurs, can significantly increase both the risk for experiencing negative effects and the severity of those effects. Social anxiety disorder is a serious mental health problem that, if left untreated, can have a devastating impact on a person’s ability to attend school, remain employed, and otherwise participate in a productive and satisfying life. However, self-medication with Xanax or any other substance is never the answer. When supervised by a qualified professional, treatment that may involve both psychotherapy and the approved use of certain medications has proven to be effective in helping people overcome the crushing symptoms of social anxiety disorder and pursuing much happier and healthier futures. What has been your experience with Social Anxiety? Do you have natural methods that you utilize in order to cover this disorder? “Social Anxiety and Xanax” was written by The Camp Recovery Center clinical content team member Hugh C. McBride. Hugh has several years of experience researching and writing on a wide range of topics related to behavioral healthcare. He has a Bachelor of Arts degree from Grove City College. Located on 25 acres and nestled among the majestic redwoods of Northern California’s Santa Cruz Mountains, The Camp Recovery Center (http://camprecovery.crchealth.com/) has been providing life-changing residential addiction treatment services to adults and adolescents for more than 30 years. Licensed by the California Department of Alcohol and Drug Programs and certified by the Commission of Rehab Facilities (CARF), The Camp provides holistic comprehensive care that is customized to meet the unique physical, psychological, and spiritual needs of each person who chooses to heal with us. The principles of the Ongoing Recovery Support Network philosophy are incorporated into all aspects of treatment at The Camp, and we place great emphasis on ensuring that our clients have the skills, resources, and support that they will need to resist triggers, avoid relapse, and successfully achieve lifelong recovery.